The L1 visa is required for employees who are transferred from a foreign company to a US one. To meet the requirements for obtaining an L-1 visa, the employee must be a manager, an executive or must have special professional knowledge and work in a foreign business for at least 1 year. In order to receive this one, it is necessary to provide documented evidence of continuous work experience in a foreign company for one year of the last three years preceding the filing date of this application. To meet the requirements for obtaining a US L-1B, an applicant must have the necessary knowledge in the field of products manufactured, research required, services rendered, equipment used, or be aware of the business’s work methods and management for the employer. An employee can be considered compliant with such requirements if they are a high-level expert in the field of technological processes and methods used. An employer applying for foreign labor must be a subsidiary or an affiliated business of a foreign one, or its subsidiary. Moreover, the ratio of equity ownership between a foreign company and a US one should be as follows: a foreign company controls at least 50% of the capital or, in the case of a joint venture with a 50/50 ratio, the foreign company has veto power. The applicant employer must demonstrate that it is a foreign employer, its subsidiary, or an affiliated enterprise of a foreign employer. The work L-1B is initially issued for a period of 1-3 years and may be extended. For all employees of newly established enterprises, the validity period for the L1 is 1 year. For companies operating in the United States for at least 1 year, the initial US visa is issued for up to 3 years. It can be extended up to 5 years for an employee with special professional knowledge, and up to 6 years for a manager, and up to 7 years for an executive. Applicants are required to file an appropriate extension request with the USCIS Immigration Service Center. Where to petition for L-1? All applications for a L1 in the United States must be sent to USCIS Regional Immigration Service Centers. After approval of your application, the USCIS Immigration Service sends a notice to the appropriate US consulate, where the applicant can receive it or if the L-1 Beneficiary is already in the United States, a change of status to L-1 as also approved by USCIS. 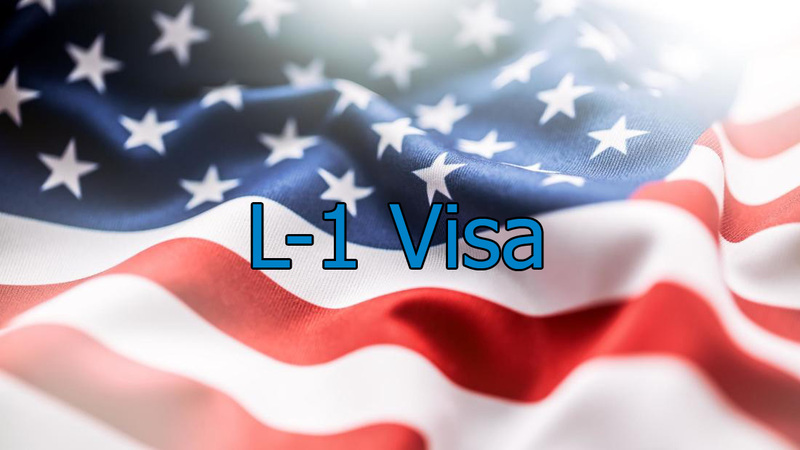 L2 is available for the family of the L1 visa holder. Spouses have the right to obtain a work permit, but minor children are not entitled to work in the United States. In addition, the domestic servant of an L1 holder in the United States may obtain a B-1 business visa and permission to continue working for their employer. What can Gasana Law Firm in Houston offer? The employer’s immigration lawyers will draw up a petition and prepare the applicant for an interview with the consulate. If the client is in the United States, we will make every effort to get a positive response on an L-1 for 3 years right away. The experience of Houston Immigration Lawyer of Gasana Law Firm allows us to solve the most difficult issues with positive results. Has your petition been rejected or will it happen soon? We have the power to slow down the revocation procedure and respond in time to the notification received. Was your petition denied? Our lawyers will represent your interests at the appeal and, if necessary, select another suitable option. Are you already working with a lawyer? Perhaps you will be interested in an outside perspective. Based on the information you provide, we are ready to offer our opinion on the issue of obtaining an L-1. Refusal to obtain a visa may postpone the fulfillment of the intended goals. Trust our experience and professionalism. You will find answers to some questions related to obtaining an L-1 work visa after having a consultation with our immigration lawyer. contact Houston Visa Attorney Gasana.